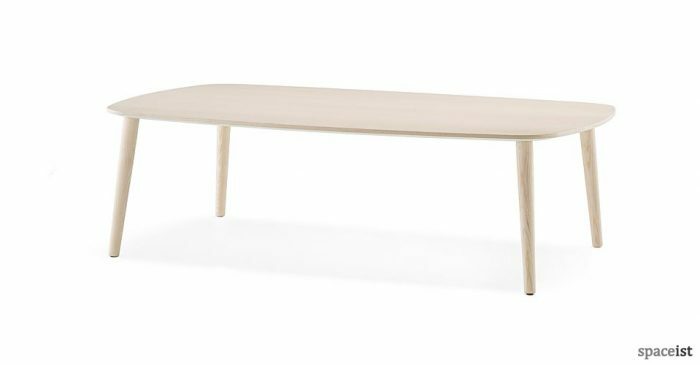 Simple & elegant coffee table in white laminate, oak or walnut veneer. 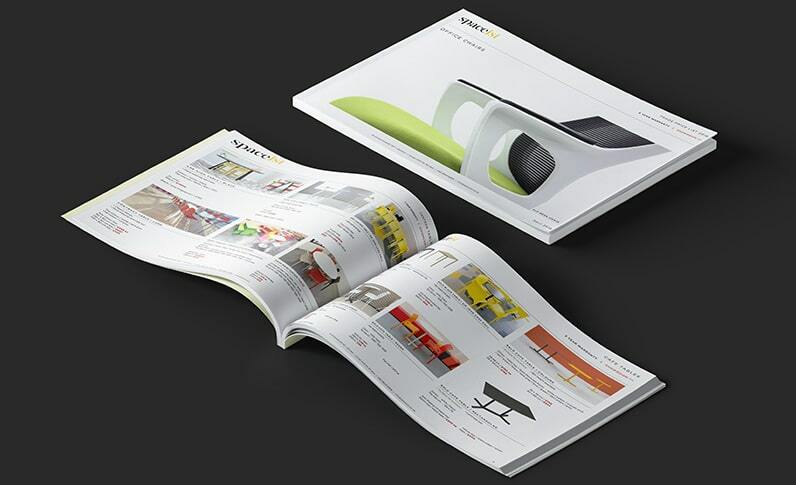 Leg is made from brushed stainless. 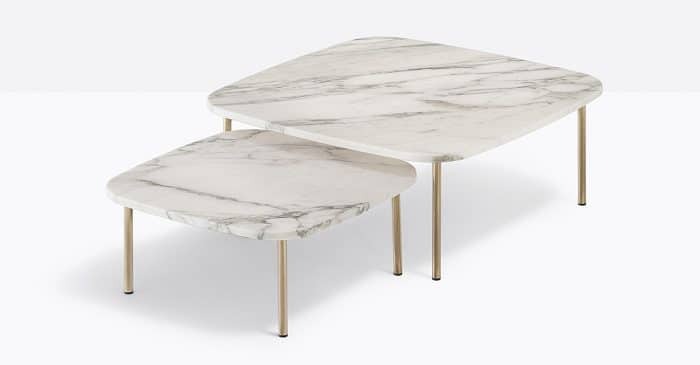 Stylish white marble coffee table with a brass effect leg. 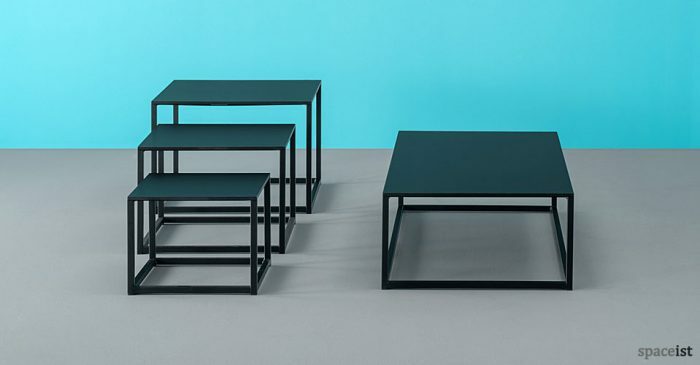 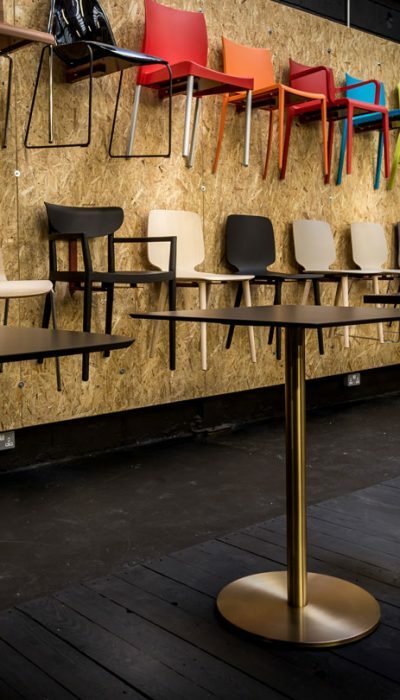 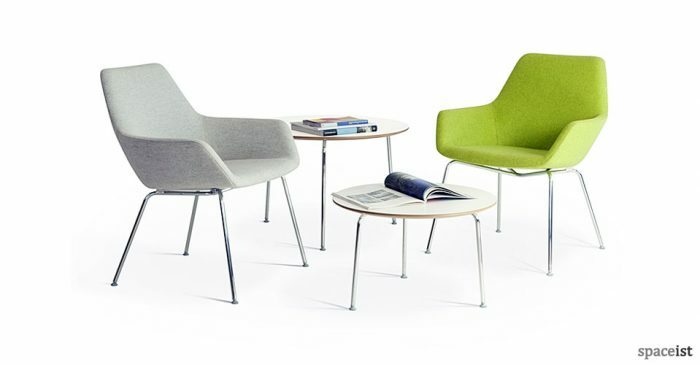 Choose from 26cm or 32cm high tables. 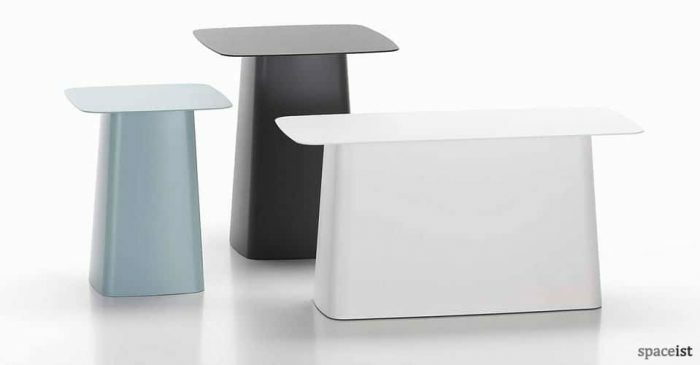 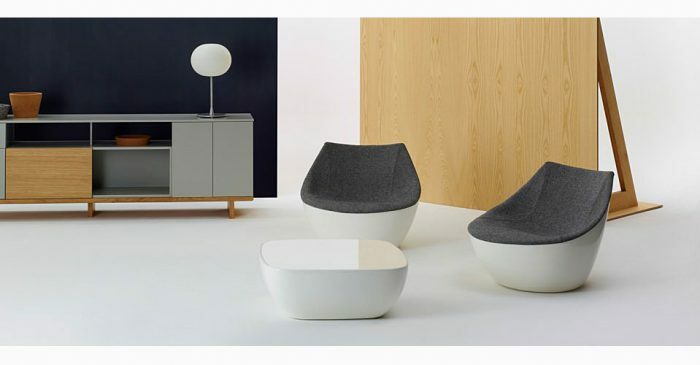 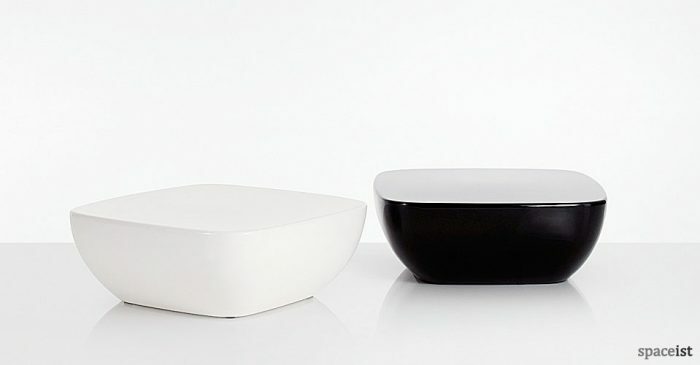 Box shaped minimalist coffee table with a hard wearing solid laminate top & steel frame in white or black. 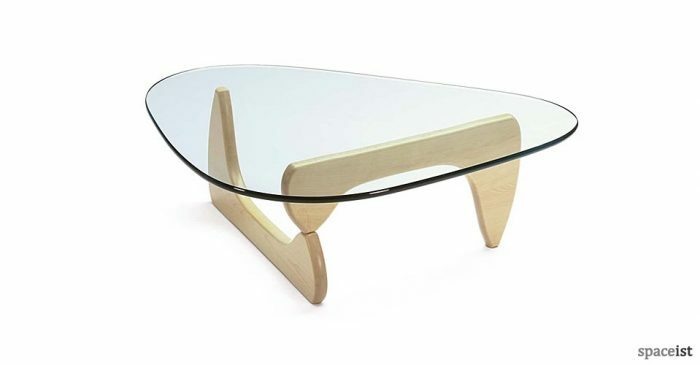 Rectangular coffee table with a wood top & leg. 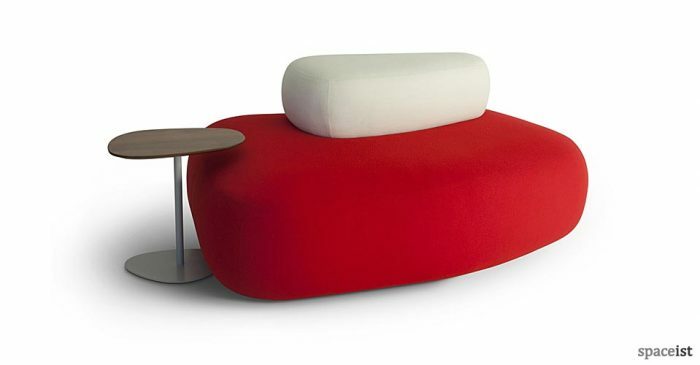 Top colours include ash, white, red & beige. 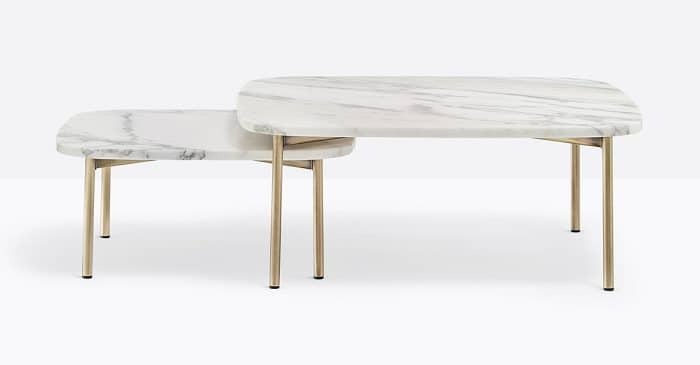 Solid ash leg. 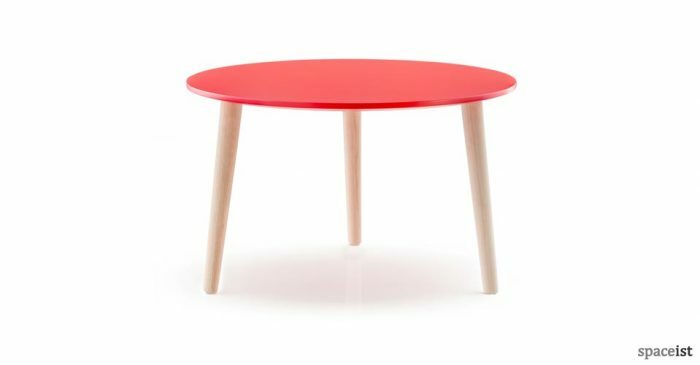 Round coffee table with a red lacquered top & solid ask legs. 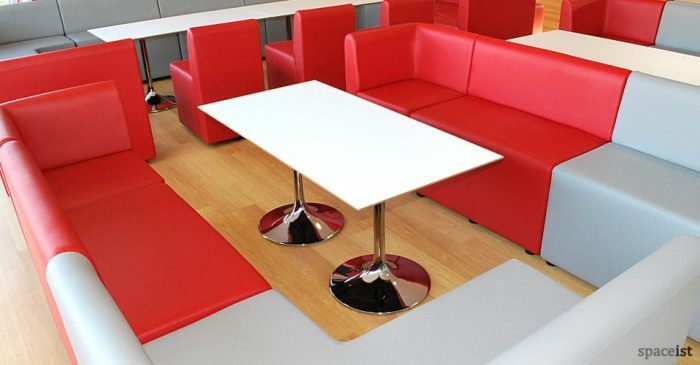 Top colours include ash, white, red & beige. 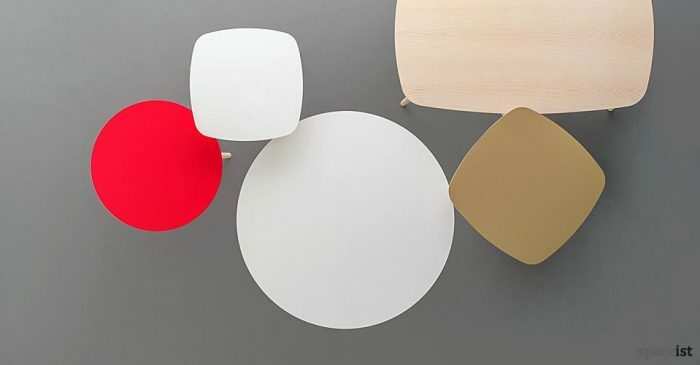 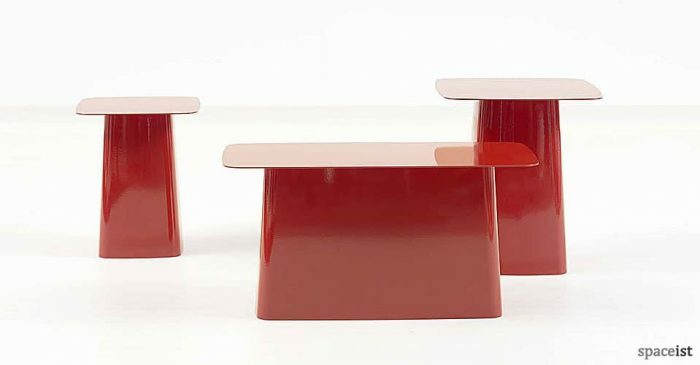 Small rounded coffee tables in red, white or aubergine. 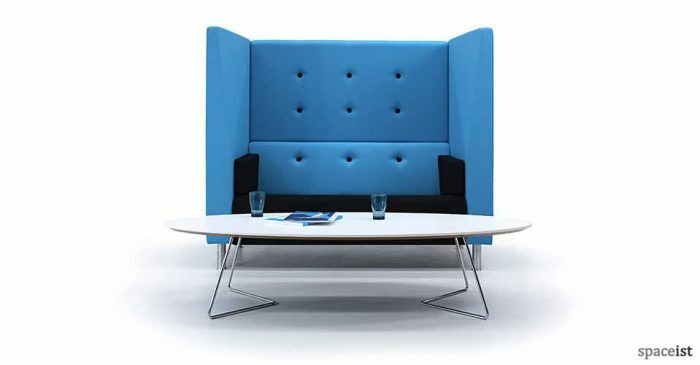 Available in three sizes & shown with Alcove sofa. 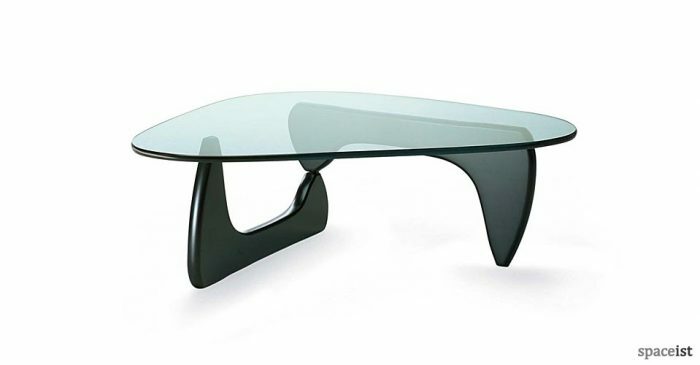 Pebble shaped coffee table with a light grey pedestal base. 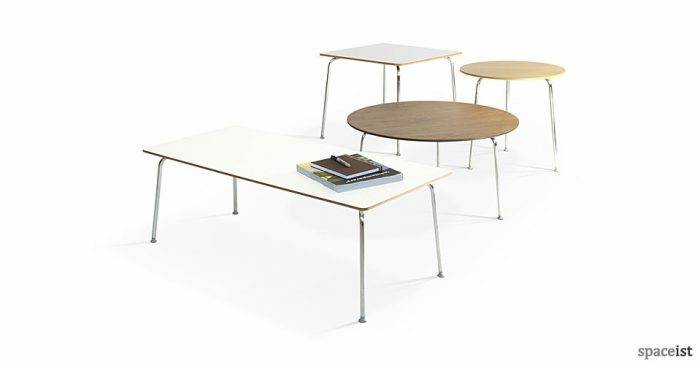 Top comes in walnut veneer or white laminate. 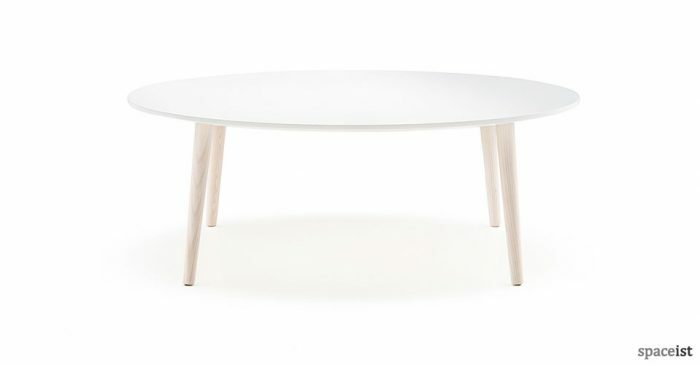 Economical coffee table with a oval top in white, oak, maple or walnut melamine or veneer. 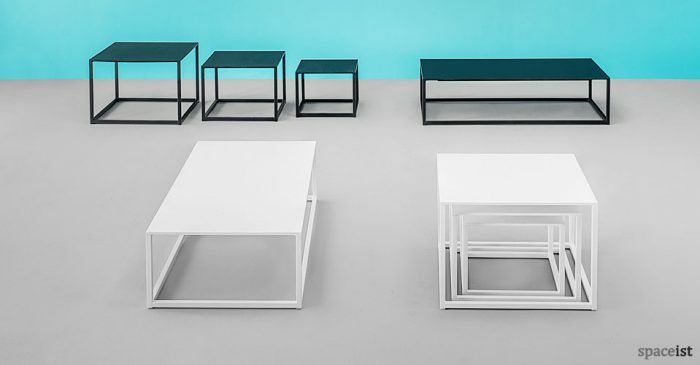 Chromed steel base. 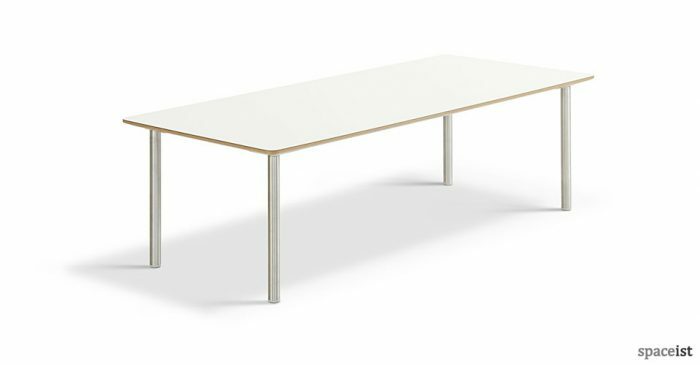 Trumpet style base coffee table with a rectangle laminate top in white. 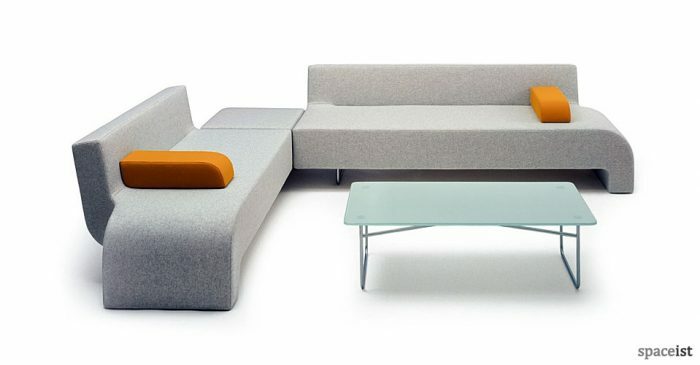 Shown with Modular Cube booth range. 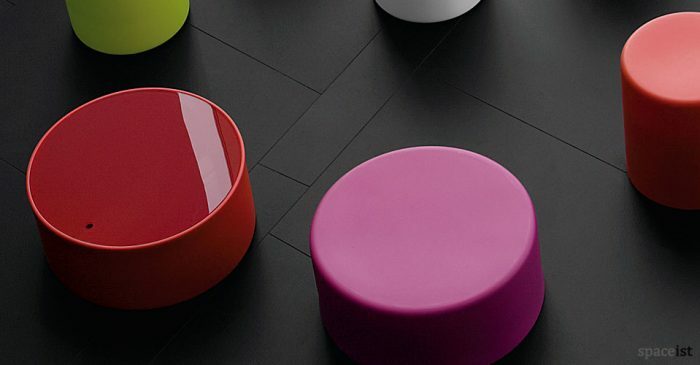 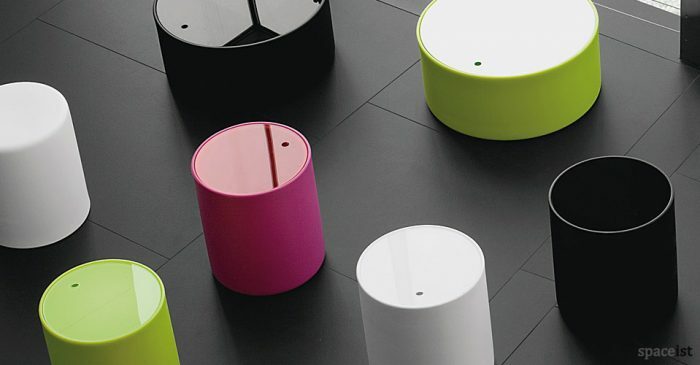 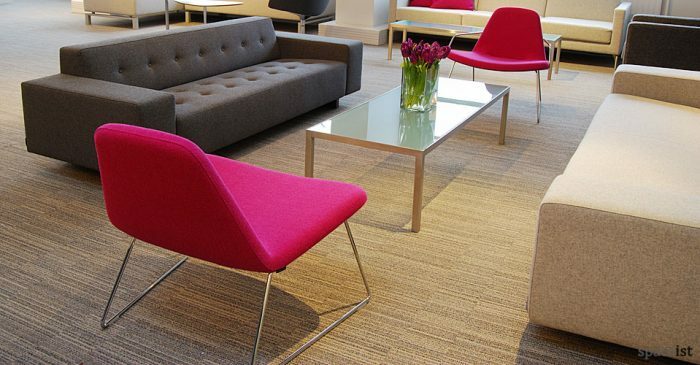 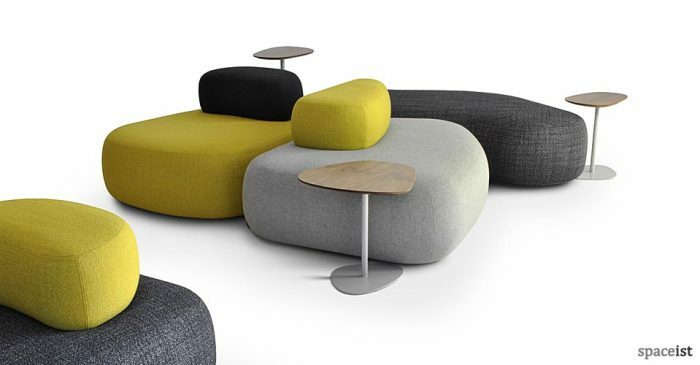 Flexible coffee table & stool in white, black, red, green, pink or yellow.